ere’s another one of those “Mass o’ Superheroes” compositions for the Marvel RPG. 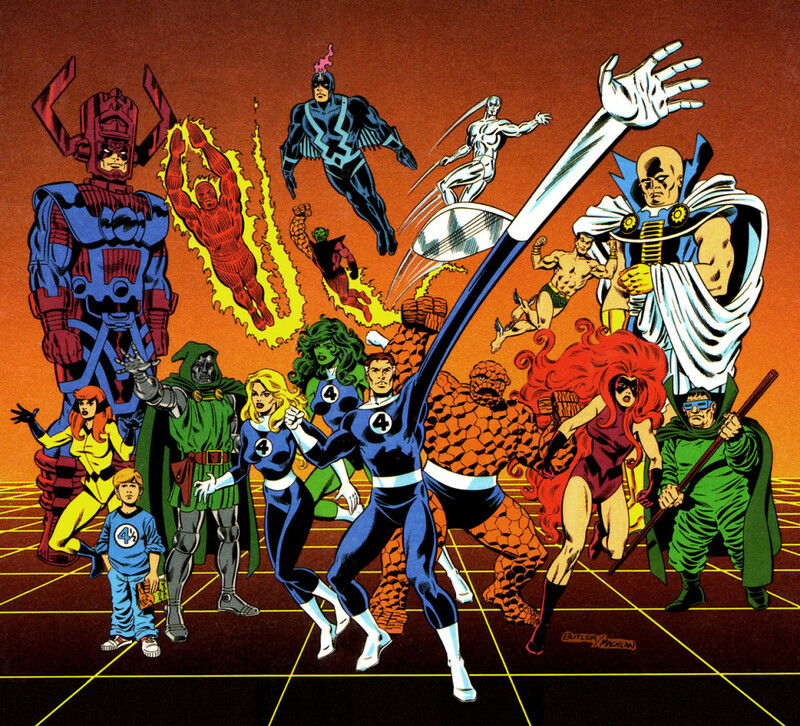 This time the focus was on The Fantastic Four and their pantheon of characters. I especially like this cover because it was inked by my buddy Mike Machlan. Mike inked a lot of books for both DC and Marvel over the years. His inks always made my pencils look the way superheroes should look!